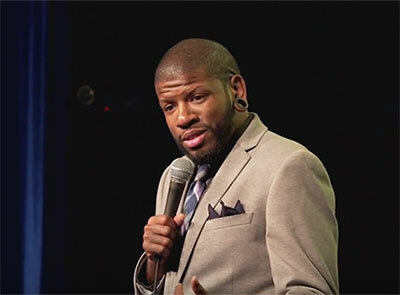 Quincy Jones is a comedian originally from Seattle, now living in Los Angeles, CA. Quincy not only loves comedy, but the hard work that goes into being a comedian. He once challenged himself to do 1000 shows in one year. Through that hard work and determination, Quincy has honed his voice, weaving together stories and everyday observations that cover everything from Subway cookies to police brutality. That along with his crowd interaction and witty off-the-cuff responses make him a highly sought after performer. Quincy has worked with many comics including Rory Scovel, Ian Edwards, Chris Rock, Sarah Silverman, and more.